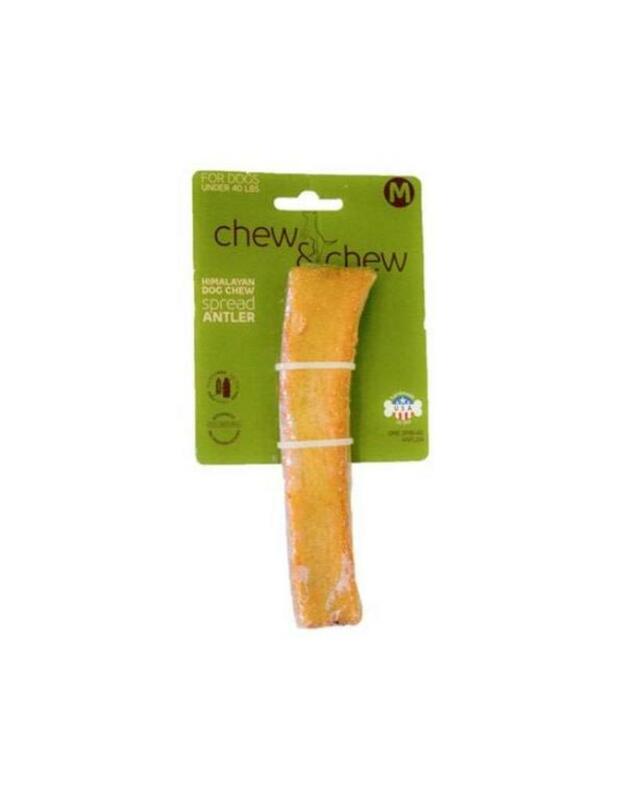 Himalayan Chew & Chew Cheese Spread Antler Dog Treat combines two favorite long-lasting natural chews. A naturally shed North American antler is split and spread with an irresistible Himalayan hard cheese for a delicious, odorless snack. The cheese flavor encourages chewing while the hard texture of the antler helps to remove plaque and tartar naturally. Your dog will enjoy hours of intense chewing pleasure with a tasty treat that also delivers essential vitamins and proteins.